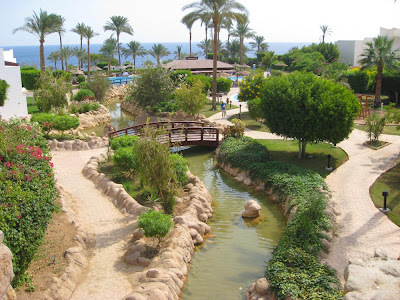 We spent both day ten and day twelve enjoying our resort in Sharm el-Sheikh on the Red Sea. After spending the previous days doing a lot of traveling, it was so nice to just relax at a beautiful resort. 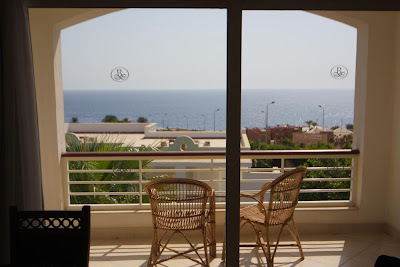 This was the view of the Red Sea that we enjoyed from our room. 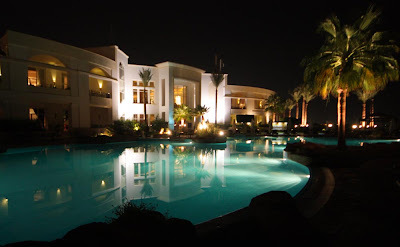 The resort was amazing. After spending the previous week and half in the desert, it was refreshing to see so much vegetation. 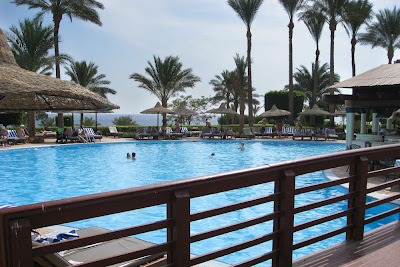 The resort had several infinity pools just feet from the Red Sea. 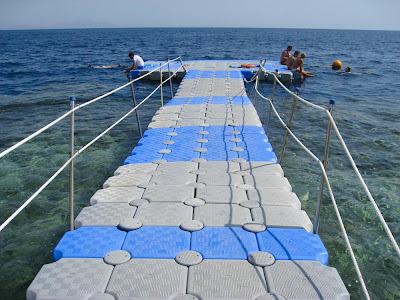 One of the coolest features of the resort was the floating pier that went to the edge of the reef. This made it very easy to go snorkeling without disturbing the coral in the reef. 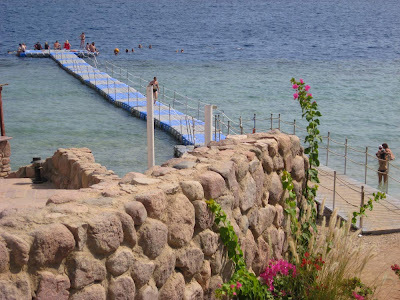 The reef by our resort is one of the best dive spots in Sharm el-Sheikh. The water was crystal clear and full of beautiful coral and fish. After five minutes of snorkeling, we both came to the surface and agreed that this is the best snorkeling we have ever done. 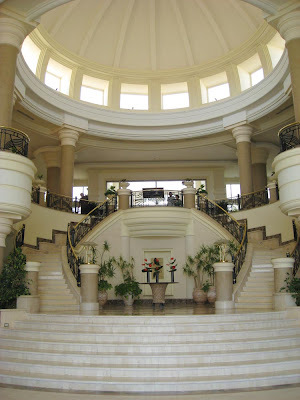 Every part of the resort was perfect, especially the restaurants. While talking to our server at one of the restaurants, we were surprised to find out that we were the only Americans he had served in the two years he has worked there. We don't know where the other Americans are... this place is fantastic! This was a great way to wrap up a trip of a lifetime. We are grateful we had the opportunity to go and see so many historic and amazing places. 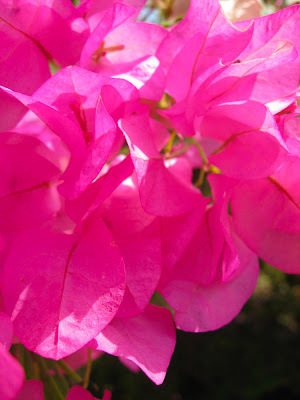 We also enjoyed the time spent together for two weeks during another adventure. Traveling always brings us closer together! I know, I have skipped day ten. Don't worry, it will be in the next post. 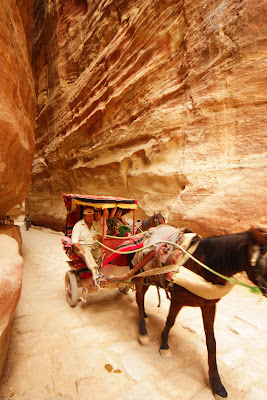 From our resort in Sharm el-Sheikh, we booked a tour to go see Petra in the country Jordan. To get there, we were picked up from our hotel at 3:00 am. 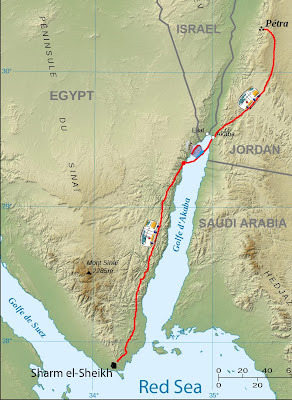 From there, we had a 5 hour bus ride up the coast of the Aqaba Gulf. 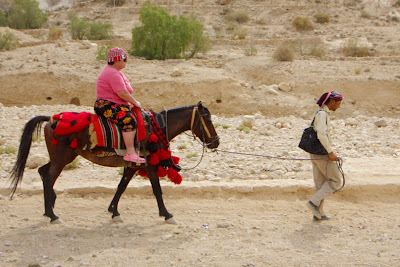 Then, we took an hour long ferry ride across the Red Sea. Following the ferry, we were back on another bus for 3 hours. 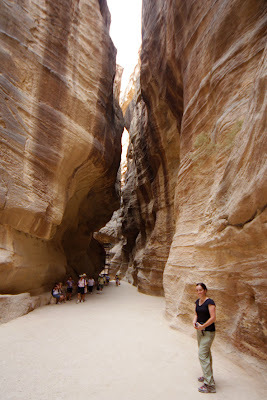 Finally, we were at the trail head for the mile hike that leads to the city of Petra. We ended up being gone for over 22 hours before we returned to our hotel. It was an exhausting day, but we were glad we did it! There are several options to get down the trail. You could ride in a carriage like this. We decided to just walk the trail. It reminded us a lot of Southern Utah. This is our first glimpse of the Treasury. It was stunning! 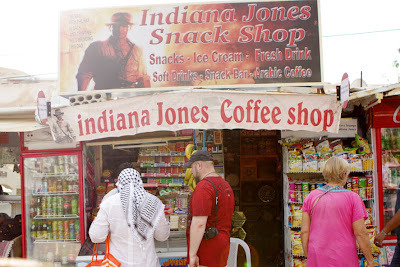 You might remember this from Indian Jones and The Last Crusade. This is the temple they enter at the end of the film. 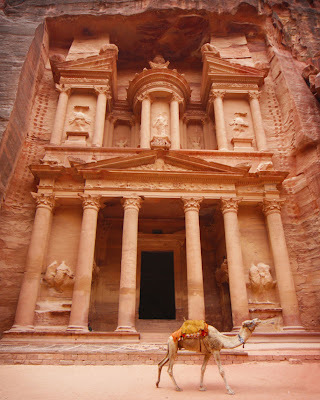 The formal name for this is The Treasury, however that name is misleading. 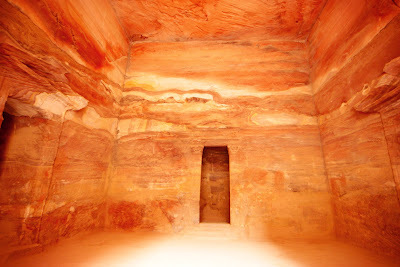 It was originally built as a tomb and never held any treasures. This is the side view of the Treasury. We were surprised to see that a cafe sits in the same area. This is what the inside looks like. The sandstone was beautiful. It doesn't go any further back than that. The inside that was shown in Indiana Jones was all fake. 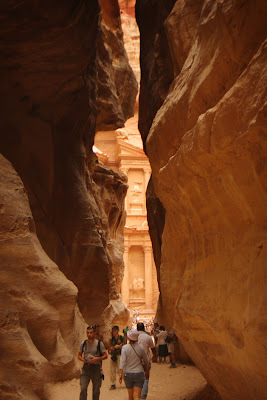 This is the view from inside the Treasury looking back at the canyon that we hiked down. 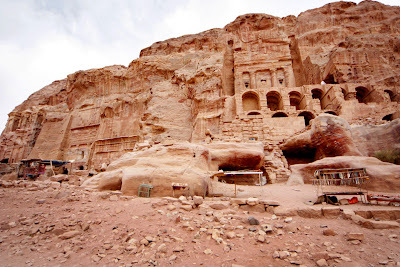 We were surprised to find that there are over 1000 tombs in Petra. 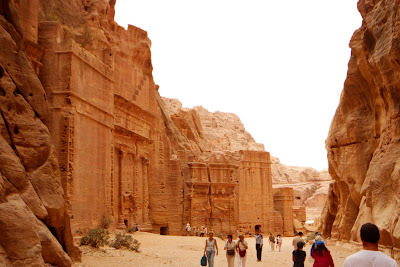 These five tombs are right around the corner from the Treasury. 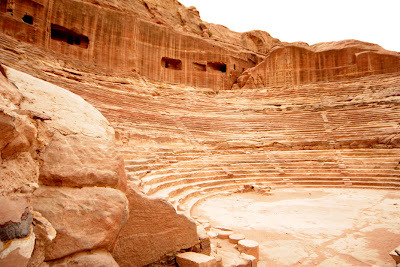 We were shocked to find this amphitheatre that can seat thousands. 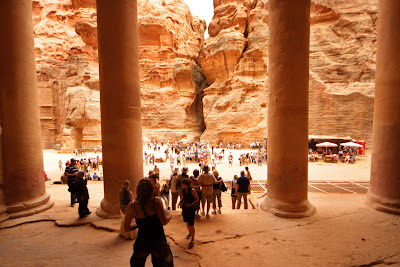 Petra had several thousand inhabitants anciently. Again, the sandstone was stunning. 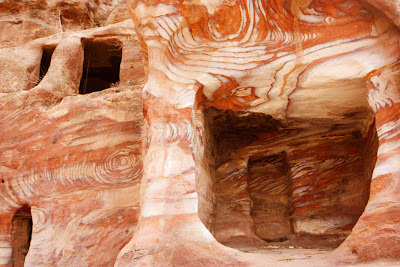 Here are several more tombs etched into the cliffs. 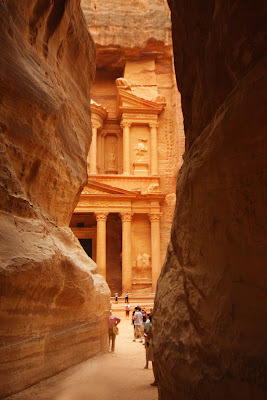 It was amazing to go explore through the various tombs. We only had about two hours to explore since we had a long journey back to our hotel, but we enjoyed the time we had to look around this incredible site. On the way out, we passed this little shop. 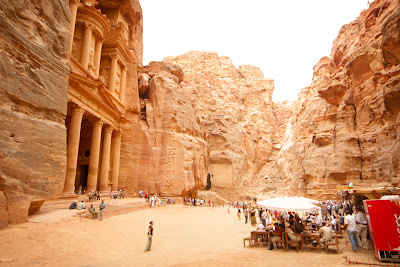 They are still living in the fame that Indiana Jones brought to this area.